Features such as recap questions, points for debate, glossary, further reading and a companion website allow students to reinforce and expand their knowledge. 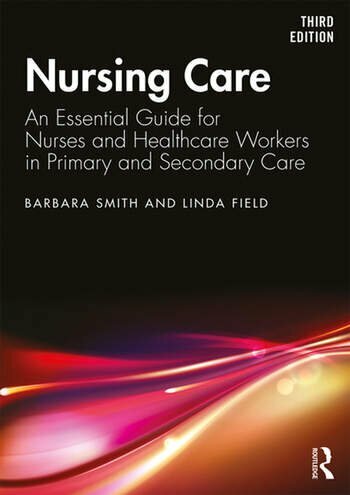 Fully updated to address the latest NMC and government policy, this new edition of Nursing Care: An Essential Guide for Nurses and Healthcare Workers in Primary and Secondary care is designed to help the student develop a proactive approach to the assessment, planning, implementation and evaluation of the care that they give. The invaluable advice can be applied to all branches of nursing and to all environments where patients are nursed, whether in hospital, at home or care homes. This book is essential reading for nursing students, qualified nurses and all health and social care workers. Barbara Smith is a freelance consultant, lecturer and retired nurse, RGN, RSCN. She is formerly Nurse Lecturer Coventry University, Distance Learning Tutor, Nurse Associate. Linda Field is a Research Nurse Facilitator, RGN, ONC. She is formerly Nurse Advisor and Senior Nurse Lecturer/Teaching Fellow/Education Facilitator at the University of Warwick.